Leave notes in their lunch. Let them overhear you bragging about them. Share memories from when they were babies. 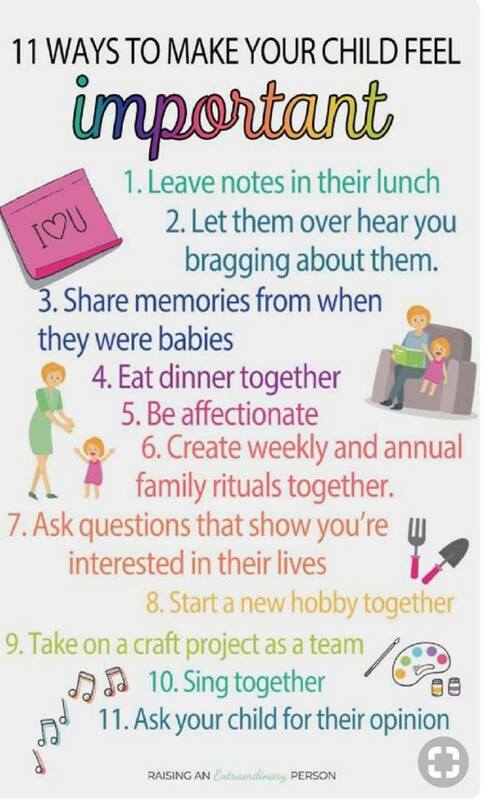 Create weekly and annual family rituals together. Ask questions that show you're interested in their lives. Start a new hobby together. Take on a craft project as a team. Ask your child for their opinion.